If you watch one video today my friends, I hope it’s this one. 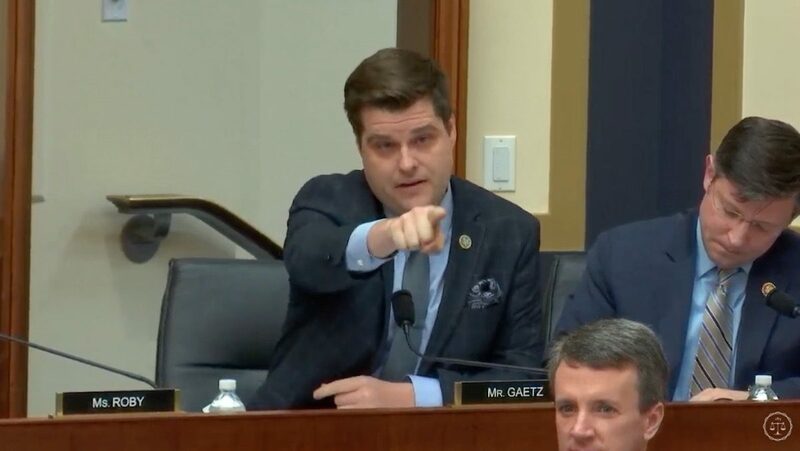 Watch congressman Matt Gaetz absolutely obliterate House Judiciary Chairman Jerry Nadler. But to me, the nail in the coffin was Gaetz’s last sentence. Every time he speaks, all I can think of is we need more patriots like him in Washington, D.C. I couldn’t have said it better to how Americans truly feel congressman. Thank you Representative Gaetz! It’s so nice to hear the Democrat LIES rebuked! I think a lot of this Trump-Russia Collusion ruse for 2 years was to cover up the CRIMES the Democrats committed in trying to take down Trump before & after the election which includes Treason. They know the Collusion BS has collapsed & they are now using their Back-Up Plan. It’s nothing more than smoke & mirrors to distract from the Democrat investigation that needs to get under way immediately. I left a comment but it is gone. Are Democrats censoring this site? I’m out of here….